A trip from Russell to Cooper's Beach in New Zealand will showcase 2 of Northland's breathtaking Bays- the Bay of Islands and Doubtless Bay. Russell used to be known as the "Hellhole of the Pacific" as it was notorious for lawlessness, prostitution and drunkenness as a major trade centre between the Europeans and Maori. Nowadays, it is a peaceful and picturesque seaside town, and on first glance does not seem significant enough to have recieved such a reputation! However, a trip to Russell museum will disabuse you of this notion- although small today, Russell, once named Kororareka, was at one point the country's capital and it's flagpole was behind the Flagstaff War in 1845. If you have seen all that Russell can offer, it's time to get on the road. 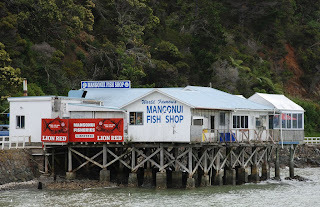 Many people take the car ferry from Russell to Opua and head north from there, as it is a significant detour to drive around by land. It is a good option as it operates every 20 minutes or so, takes 10 minutes to cross, and is $10 for a car and driver plus $1 per passenger. 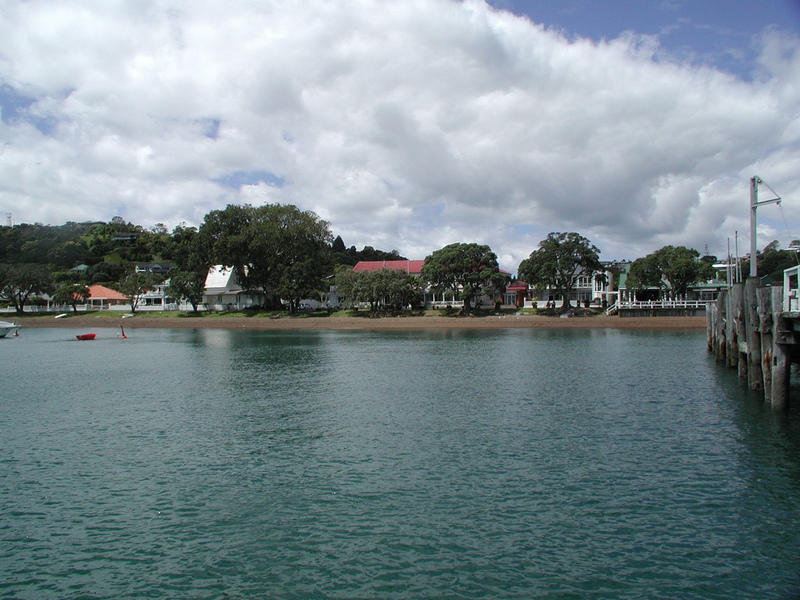 Off the ferry, take Paihia road until it joins with State Highway 1 at Kawakawa, and then on to State Highway 10 towards Kerikeri and Mangonui. 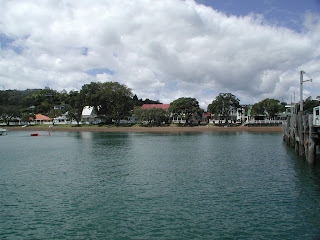 Kerikeri is a nice place to stay for the night, and boasts a "Top Ten Holiday Park" which is great for campervanners. It also has New Zealand's oldest building that still stands, the Stone Store. For those with a sweet tooth, handmade chocolate boutique Makana Confections is worth a visit! Onwards and upwards along State Highway 10 to Coopers Beach in Doubtless bay. 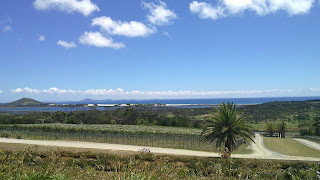 As it is not far from Kerikeri, you will have plenty of time to see some of Doubtless Bay's delights. 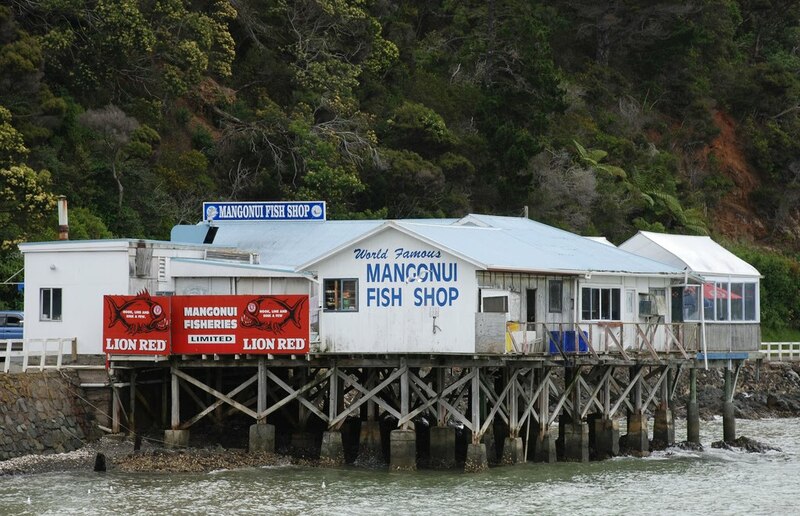 Lunch at the Mangonui Fish Shop, on Mangonui Harbour, is a must- they have by reputation some of the best fish and chips in New Zealand, and as any kiwi will tell you, that is not a claim to be taken lightly! Coopers Beach is next along the highway, and is a pohutakawa-fringed beach which is safe for swimming. The town, slightly back from the beach, has a small shopping centre with hairdresser, superette, butcher, medical centre, hardware store, pharmacy and restaurants. Cable Bay, a pretty bay with orangey-pink sand is just over the hill from Coopers. The Karikari Peninsula encloses Doubtless Bay and it's views are best taken in with a glass of wine in hand, sitting outside the Karikari Estate Winery. It also has a Top Ten Holiday Park. See the Bays with a campervan hire!